Steven Gerrard believes Roberto Firmino offers everything a manager could want from a main centre-forward. 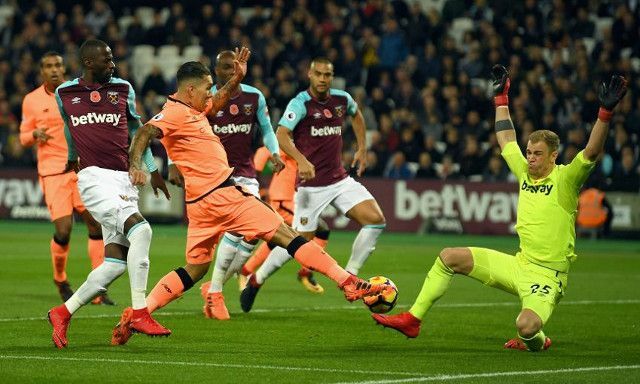 The Brazilian didn’t score in Saturday’s 4-1 win over West Ham, but did play a starring role in spearheading a fierce Liverpool press. His work ethic set the tone for a dominant display from Jurgen Klopp’s men, not to mention the quality he showed on the ball throughout. In comparison, West Ham’s Javier Hernández offered little up top and was subject to strong criticism from Gerrard for his application. The two were polar opposites all evening, with Firmino providing the selfless runs and determined hold-up play that allowed those around him to steal the spotlight. He was also influential in arguably the most important move of the game when his slick turn and driving run helped set up Alex Oxlade-Chamberlain for Liverpool’s third- immediately after West Ham had pulled a goal back. Hernández, granted, had poor service to work with, but also offered little in the way of compensating for his team’s lack of creativity. Even when not in his most prolific form, Firmino still has plenty to offer for the Reds. With Liverpool’s attacking force beginning to regroup after injury setbacks, the goals will undoubtedly start to return for the club’s No.9.